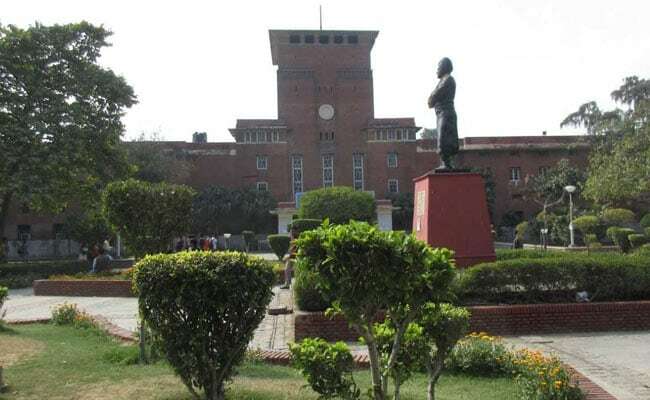 Thirty-four per cent of votes were registered in the Delhi University Students' Union (DUSU) elections till 11.30 am Wednesday, an official said. Polling is underway at 52 centres in the colleges here. As many as 1.35 lakh students will decide the fate of 23 candidates in the DUSU polls. Between 8.30 am and 9.30 am 18.5 per cent votes were registered, and till 11.30 am 34 per cent of votes were cast. In the fray are the National Students' Union of India (NSUI), the Akhil Bharatiya Vidyarthi Parishad (ABVP) and the Aam Aadmi Party's students wing which is contesting the polls in alliance with the Chhatra Yuva Sangharsh Samiti (CYSS), and left-wing students' outfit All India Students Association (AISA). While the NSUI has promised the 'Institute of Eminence' tag for Delhi University and thalis at Rs 10, the ABVP has promised to spend 50 per cent of the union's budget on women and social justice-related activities, along with a special attention on promoting sports and installing sanitary pad vending machines on college campuses. After the AAP came to power in Delhi in February 2015, its students wing had unsuccessfully contested the DUSU polls. It has promised to ensure installation of CCTV cameras, setting up of police booths on campus, ending the "culture of hooliganism" and opposition to "commercialisation of education".